Print4Taxis is a great new way for those in the private hire industry to order design and printing online. We offer a vast and ever-growing catalogue of 'design agency quality' artwork created specially for your industry, made available by state-of-the-art templates. This makes it easy to personalise the designs and adapt them for your own individual use. 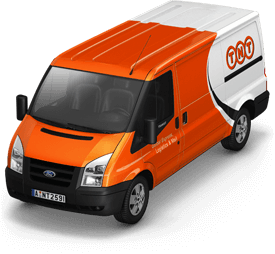 We'll deliver your order FREE to one address in UK with our Saver Delivery option. Your order will be delivered by our preferred partners TNT. They publish on-time performance of 99%. Or, if you're in a rush, our overnight Standard Delivery (once your print is finished) starts at just £4.99. We charge delivery based on the total weight of your order, so the more you order, the cheaper each item gets. We'll show you the delivery price of any item when you view it or add it to your basket. Print4Taxis' UK factory is modern, efficient and operates to ISO9000. Quality doesn't happen by accident; the Print4Taxis website connects directly to our back-end production systems and indeed with TNT, our carriers, to ensure the whole production process is 'joined-up'. We routinely audit our entire production process, so that we know that we're delivering not just the best value, but we're keeping our promises also. If we make a mistake, then tell us. And we'll put it right immediately. If that's no good, we'll give you a refund.